I’m not promoting this on Twitter – Let’s see who actually reads my blog on a Monday morning or at least still employs RSS technology. Respond in the comments section below on 1) your role and 2) your thoughts and/or opinions (good or bad) of VMware’s endeavors into both Software Defined Storage and Software Defined Networking. The 5th response snags the copy which I will mail to you. 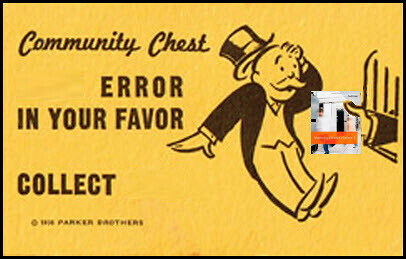 Good luck and thank you for your feedback. Update 5/20/12: Thank you for the responses. It’s good to see so many people attentive on a Monday. I expect anyone could argue that the first response from Andy wasn’t an actual opt-in response for the contest, nor did it conform to the contest rules. This creates a problem because whether or not I include Andy’s comment means either Miguel or Kris are winners. The easiest way to settle this is to declare you both winners. Send me an email detailing your full mailing address and each of you will receive a copy of Mastering vSphere 5 by Scott Lowe. The big splash was officially made yesterday but I’m following up with my announcement a day later to help spread the message to anyone who may have been heads down and missed it. 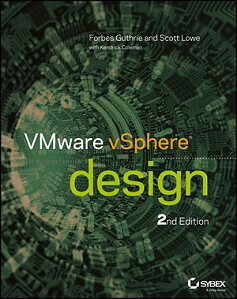 Forbes Guthrie ( ), Scott Lowe ( ), and Kendrick Coleman ( ) have teamed up to produce VMware vSphere Design 2nd Edition (a followup refresh of the popular 1st Edition). As Technical Editor, I’m one of the few fortunate individuals who have already had the pleasure to have read the book. I can tell you that it is jam-packed with the deep technical detail, design perspective, and methodology you’d expect from these seasoned and well-respected industry experts. The book is 528 pages in length (compare to 384 pages in the 1st edition). New in this version is coverage of vSphere 5.1, emerging infrastructure technologies and trends, as well as a section on vCloud Director design – a worthy topic which should be weighing heavily on the minds of many by now and in the future will likely spawn dedicated coverage in texts by Sybex and/or other publishers. The publisher has made the introduction section of the book freely available. You can take a look at that by clicking this link which is hosted at Forbes vReference blog. As with the previous edition, this book is made available in both paperback and Kindle editions. Support these authors and pick up your copy today. Tell them Jason sent you and nothing special will likely take place. I’m long overdue on book reviews and I need to start off with an apology to the authors for getting this one out so late. 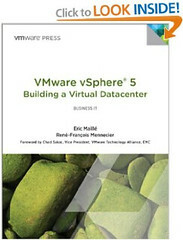 The title is VMware vSphere 5 Building a Virtual Datacenter by Eric Maillé and René-François Mennecier (Foreword by Chad Sakac and Technical Editor Tom Keegan). This is a book which caught me off guard a little because I was unaware of the authors (both in virtualization and cloud gigs at EMC Corporation) but nonetheless meeting new friends in virtualization is always pleasant surprise. It was written prior to and released at the beginning of September 2012 with vSphere coverage up to version 5.0 which launched early in September 2011. The book starts off with the first two chapters more or less providing a history of VMware virtualization plus coverage of most of the products and where they fit. I’ve been working with VMware products since just about the beginning and as such I’ve been fortunate to be able to absorb all of the new technology in iterations as it came over a period of many years. Summarizing it all in 55 pages felt somewhat overwhelming (this is not by any means a negative critique of the authors’ writing). Whereas advanced datacenter virtualization was once just a concatenation of vCenter and ESX, the portfolio has literally exploded to a point where design, implementation, and management has gotten fairly complex for IT when juggling all of the parts together. I sympathize a bit for late adopters – it really must feel like a fire hose of details to sort through to flesh out a final bill of materials which fits their environment. From there, the authors move on to cover key areas of the virtualized and consolidated datacenter including storage and networking as well as cluster features, backup and disaster recovery (including SRM), and installation methods. In the eighth and final chapter, a case study is looked at in which the second phase of a datacenter consolidation project must be delivered. Last but not least is a final section titled Common Acronyms which I’ll unofficially call Chapter 9. It summarizes and translates acronyms used throughout the book. I’m not sure if it’s unique but it’s certainly not a bad idea. To summarize, the book is 286 pages in length, not including the index. It’s not a technical deepdive which covers everything in the greatest of detail but I do view it as a good starting point which is going to answer a lot of questions for beginners and beyond as well as provide some early guidance along the path of virtualization with vSphere. The links above will take you directly to the book on Amazon where you can purchase a paperback copy or Kindle version of the book. Enjoy and thank you Eric and René-François. I assume you follow Duncan and Frank and read their blogs, but in case you don’t, check out this Crazy Black Friday / Cyber Monday deal! 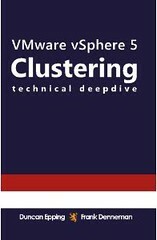 Between now and Monday 11:59pm PST, prices are slashed on Frank and Duncan’s ebook vSphere 5 Clustering Technical Deepdive. 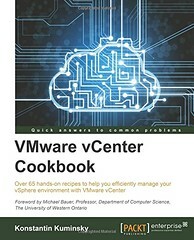 If you’re serious about vSphere 5, you need this book in your technical library. Even if you’re already a seasoned vSphere expert, there are some major changes in the features which Duncan and Frank deepdive on. Tis the season for giving so if you already have a copy for yourself, take advantage of these prices to pick up another copy for your favorite co-worker, employee, manager, spouse, or child. Now is as good a time as any to get the young ones started on VMware virtualization.